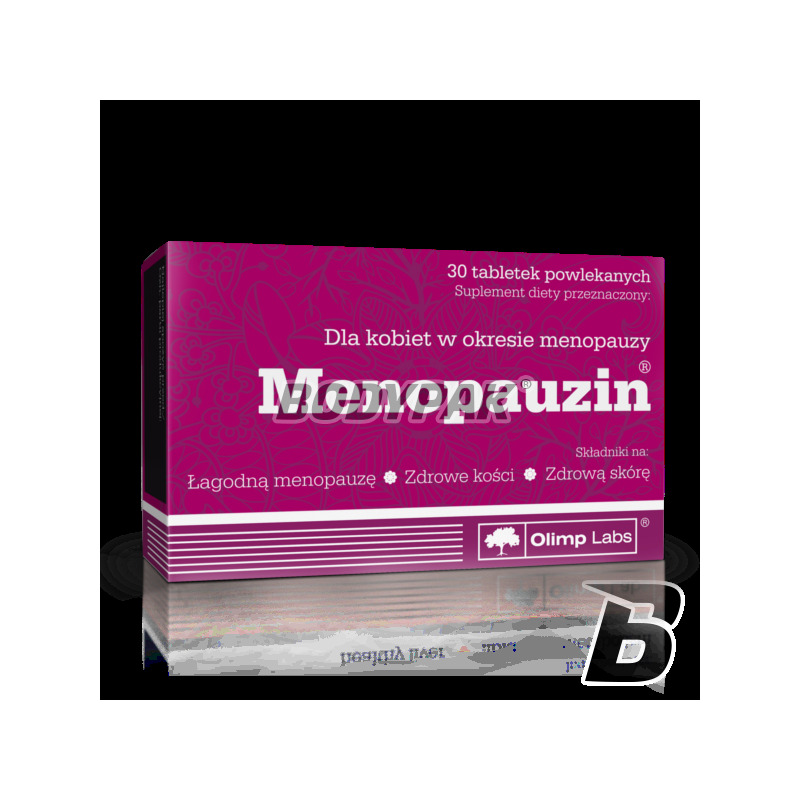 Health & BeautyOlimp Menopauzin - 30 tabl. High-quality ground Milk Thistle (Silybum marianum), high protein and dietary fiber, which has a positive effect on the digestive system including intestine. It provides a feeling of satiety, which certainly will appeal to dieters. Very valuable addition to the diet! 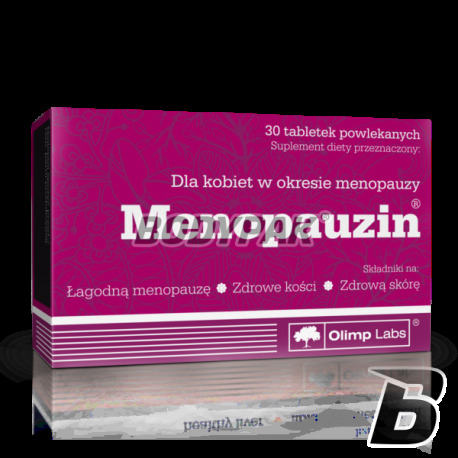 Olimp Menopauzin - 30 tabl. Menopauzin® is a dietary supplement recommended for women in menopause. Menopauzin® comprises a composition of plant components - soy isoflavones and extract of hops, soothing effects that accompany menopause (eg . : hot flashes, increased irritability). The preparation was enriched in minerals (e.g., calcium . : needed to maintain healthy bones and teeth), and vitamins which include helping to reduce fatigue (Vit. B6), help in maintaining healthy skin and hair (biotin). - Extract of hop cones - helps to calm and comfort of menopausal symptoms, helps to maintain normal cholesterol levels, helps to maintain physical health. - Calcium - needed to maintain healthy bones and teeth and helps in the proper functioning of digestive enzymes and muscles, it helps to maintain normal neurotransmission. - Vitamin D - together with calcium helps maintain healthy bones and teeth and helps in the proper functioning of the immune system. - Vitamin E - a natural antioxidant helps protect cells against oxidative stress. - Vitamin B6 - helps to reduce fatigue. - Folic acid - helps maintain normal psychological function, the proper functioning of the immune system, helps to reduce fatigue. - Chromium - This mineral is involved in the proper metabolism of macronutrients influencing the activity of enzymes that regulate processes of metabolism of sugars and fats. It also helps maintain normal blood glucose levels. - Biotin - helps maintain healthy skin and hair. Mamie kupiłam i okazał się bardzo pomocny. Już kilka dni po rozpoczęciu kuracji poczuła się lepiej, z dnia na dzień coraz mniej uporczywe odczuwała uderzenia gorąca, a rozdrażnienie pojawiało się coraz rzadziej, aż objawy w końcu ustąpiły. Konkretny produkt zwłaszcza w moim wieku. Polecam każdej Pani w okresie menopauzy! The probiotic in the form of easy to swallow capsules. If you are in or have completed a course of antibiotics you should take care of your digestive tract microflora. Use this preparation whenever you reach for an antibiotic! It affects maintain full health and strengthens the immune system. Olimp ALA 200 - 120 kaps. High-quality preparation supplementing the diet with the highest quality alpha-lipoic acid efficiency of energy production and protecting against adverse effects of oxidation. Swanson Tri-Fiber Complex - 100 kaps. Excellent preparation pro-health, whose composition is based on three natural origin fibers. Supports the proper functioning of the digestive system, including peristalsis. It helps to increase satiety due to swelling in the stomach. High quality at a good price!